DPS Trooper David Morris arrives. 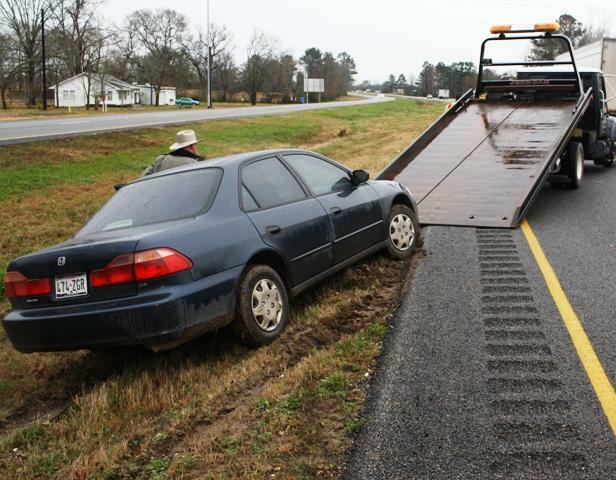 Reckless, Intoxicated, Driver Gets Stuck, Then Busted, GOODRICH, February 4, 2010 - At approximately 9:30 am on February 4, 2010, a call was placed to the Polk County Sheriff's Office regarding a reckless driver that was south-bound on US-59 south of Livingston. Deputy Randy Turner was in the vicinity and spotted the blue 1999 Honda Accord driven by Randel Lewis Seay, 45, of Shepherd. Deputy Turner attempted to pull over Seay. Instead, Seay drove into the grassy muddy median a short distance south of FM-2665 and proceeded north for about 300 yards (in the median). Seay attempted to pull out of the median and got stuck. Deputy Turner pulled up, got out, and ordered Seay out of his car. According to witnesses, Seay had struck another vehicle from behind but didn't stop. Turner cuffed and detained Seay until DPS Troopers arrived. 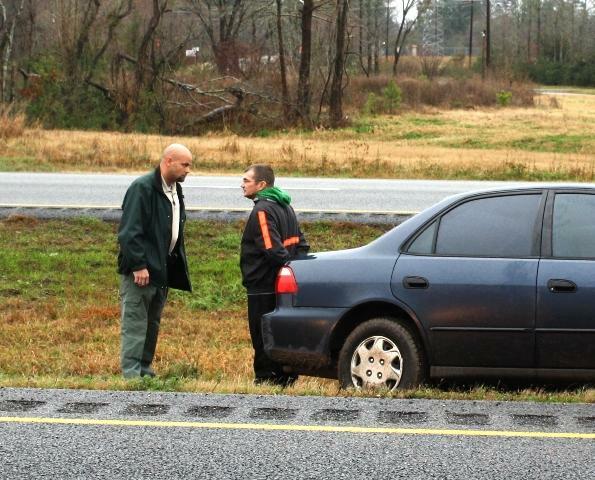 Seay was taken to the Polk County Sheriff's Office where a field sobriety test was performed by Trooper David Morris. Seay was placed under arrest for: suspicion of driving while intoxicated (second offense), driving with an expired Texas driver's license (second offense and expired since 1991), and no insurance. Seay was booked into Polk County Jail. A rollback wrecker from Fawbush Body Shop recovered Seay's vehicle and it will be stored at Fawbush on US-59 in Livingston. The scene was cleared before 10:30 am. Deputy Randy Turner talks with Randel Lewis Seay, 45, of Shepherd (Goorich, Texas, February 4, 2010). 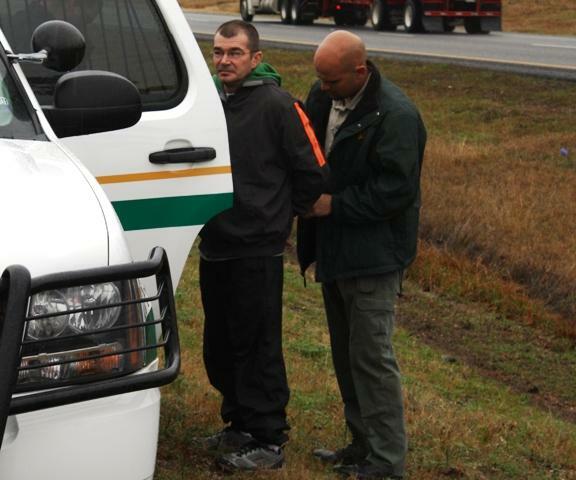 Deputy Randy Turner detained Seay, then escorted him to a patrol unit. Seay's vehicle was recovered by Fawbush Body Shop.